We have been offering pest control and animal removal services to the residents of Woodland for over twenty years now. It is always our joy to exterminate the pests or the animals that cause people so much discomfort in their homes and you too can also take advantage of our services to end pest infestation or remove that stubborn raccoon that got into your attic during winter. We have a dedicated team that has received adequate training in this area and are highly skilled to offer quality services whenever called upon. 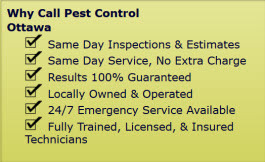 This is why we have managed to become the best local pest control services provider in Woodland, ON. We handle almost all types of pest control whether in homes or in the commercial premises. Our pest exterminator has the skills to hand complicated forms of infestation in an efficient and extremely professional manner. We have the ability to get rid of household pests and insects such as rats, mice, cockroaches, termites, wasps, bedbugs, fleas etc. Our extermination service will also involve a phone consultation on the various changes you need to make around you homestead to prevent future infestation by the same pests. Our pest control Woodland ON services also includes animal removal services. We have a skilled team of animal removal experts who can handle all types of animals such as squirrels, raccoons, skunks, chipmunks, bats, pigeons etc. We use safe and humane ways to get rid of the animals. The method we employ does not stress them or cause them any injuries. We only strive to get them out of your premises and let them find alternative places where they can live without bothering you. 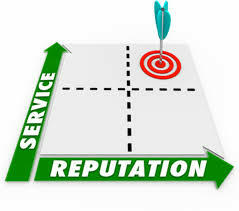 We are ready to offer these and many other services to you. 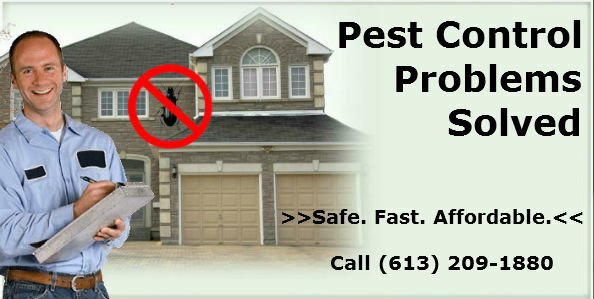 All you have to do is to give Pest Control Ottawa a call should be you faced with any of the above problems and we will be glad to take away the problem from you. Our service area includes Ottawa, ON and the surrounding areas. Pest control and Animal Removal Services in Woodland, Ottawa, ON call (613) 209-1880.